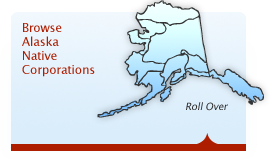 A Fort Yukon woman may have stolen more than $100,000 from the Alaska Native corporation for which she used to handle finances. By allegedly falsifying records from the corporation’s fuel store and stealing money from a safe, the state says, she collected enough cash to fund two family vacations and purchase a new vehicle. Zelma Louie Fairchild is accused of stealing $118,085 over five months, according to an affidavit filed last week in Anchorage. She allegedly stole the money from the Gwitchyaa Zhee Corporation, a Fort Yukon-based Native village corporation. The Office of Special Prosecutions is handling the case, but the charges have yet to go through a grand jury, so it hasn’t been decided if there is enough evidence against Fairchild to go forward with a trial. Gwitchyaa Zhee draws some of the profits for its shareholders from a fuel store, and it’s from the store’s daily sales sheets that Fairchild allegedly funneled more money than her salary paid. The alleged thefts have come back to haunt her, as charges weren’t handed down until four years after the crimes are believed to have been committed. As described by the state, Fairchild’s trouble started around the time she is believed to have stopped pocketing her employer’s money. On Dec. 7, 2009, Fannie Carroll took over as the corporation’s general manager and discovered it had less money than “she thought it should.” In particular, the fuel store’s dwindled funds caught Carroll’s attention, according to the affidavit. According to the corporation’s website, Gwitchyaa Zhee is involved in several established lines of business and is preparing to break ground on a combined powerhouse and heating utility that will use biomass technology. The fuel store’s finances were kept and accounted for separately from the rest of the corporation’s funds. Carroll hired an accounting firm to review finances of the fuel store. The firm discovered losses of at least $118,085, which vanished from mid-July 2009 to December 2009. There were several ways the losses occurred and were concealed, the affidavit says. The daily sales totals had allegedly been altered in records to falsely represent less money than was actually taken in, and there was money missing from a safe. The investigator’s account of Fairchild’s scheme goes like this: Fairchild allegedly had access to the safe. She didn’t allow her employees to assist with accounting tasks like reconciling daily cash amounts. She insisted that all money orders brought in by customers to be cashed be left blank (one Gwitchyaa Zhee employee allegedly saw Fairchild take money orders that were never entered on the daily deposits). And she requested money from the corporation to cover fuel purchases for the fuel store’s operations. “The fuel store should have been profitable enough to afford the supply of fuel that was sold,” Alaska State Troopers investigator Andrea Jacobson wrote in the affidavit. Since Fairchild’s departure from the corporation, the fuel store is profitable and Gwitchyaa Zhee has declared a shareholder dividend. Fairchild allegedly vacationed twice in 2009, once in Florida and once in Hawaii, trips that included several family members. In February 2009, she financed a new vehicle with a $32,820 price tag. The woman’s bank accounts’ balances floated around $1,000 at the beginning and end of 2009, but during that time about $94,000 in deposits had moved through the accounts from various sources. Her alleged tale of siphoning corporation funds isn’t as surreal as that of another criminal case involving tribal funds. Lori Chum, former president for the Native Village of Tatitlek, turned herself into U.S. Marshals and began an 18-month prison sentence for misapplication of tribal funds , including double-dipping into the village’s bank accounts, wrongful and inflated payments to herself, and outright theft of the village’s money. Clum had a compulsion for narcotics and booze, driven by her own personal tragedies. Fairchild has no criminal convictions in Alaska, according to the affidavit. 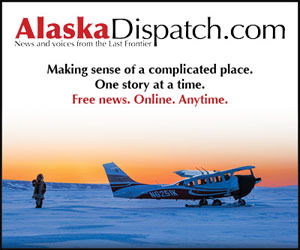 Contact Jerzy Shedlock at jerzy(at)alaskadispatch.com . Follow him on Twitter twitter @jerzyms .